GTS Reblocking has been operating for over 30 years, and in that time has established a reputation for honesty and reliability. We offer competitive rates and a 10 year structural guarantee.We organize all permits and are fully insured for both Domestic and Commercial works. Our professional staff are always courteous and very obliging, explaining procedures and answering any questions along the way. Our management of the restumping works has been highly recommended many times to new customers. Doors that stick, cracking plaster and soft floors are early warning signs that all is not well with the stumps holding up your house. 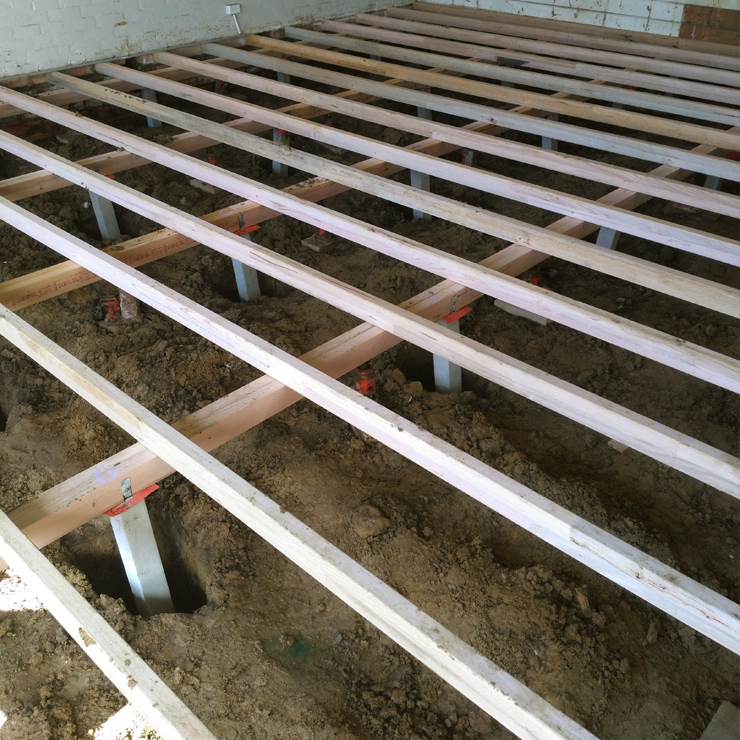 One of the big mistakes people make is to start renovating before they have had the sub-floor checked. This results in a last minute phone call from the builder once works have commenced. This brings unexpected additional costs to you the Owner and the postponing of your building works. Re-levelling and stump replacement of the dwelling is the first priority in all house renovations. The main benefits of restumping are to achieve a true line of floor level and a secure foundation to ensure the safety and growth of your investment. As restumping is always the first step in your renovations, we endeavor to accommodate time schedules that suit you, the customer and other building trades. Submit an enquiry for a no-obligation appraisal of your house, or phone Tracey now on (03) 9735 5706.